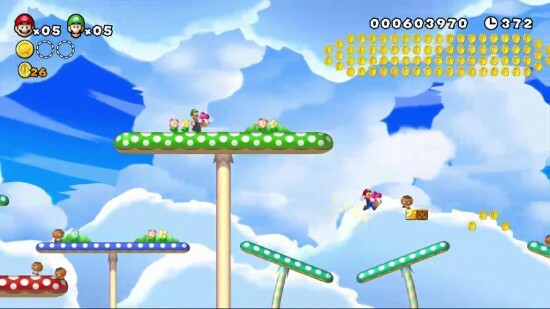 Heavily integrated with social features, this new Mario game strongly resembles the New Super Mario Bros. on the Wii with an even stronger co-op feeling. 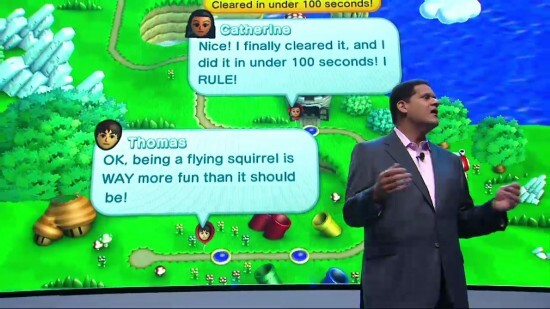 Using the Wii Pad, you will be able to place blocks in the level to progress further and create “speed run records”. Check out the screenshots we grabbed below. One Comment on "Surprise! 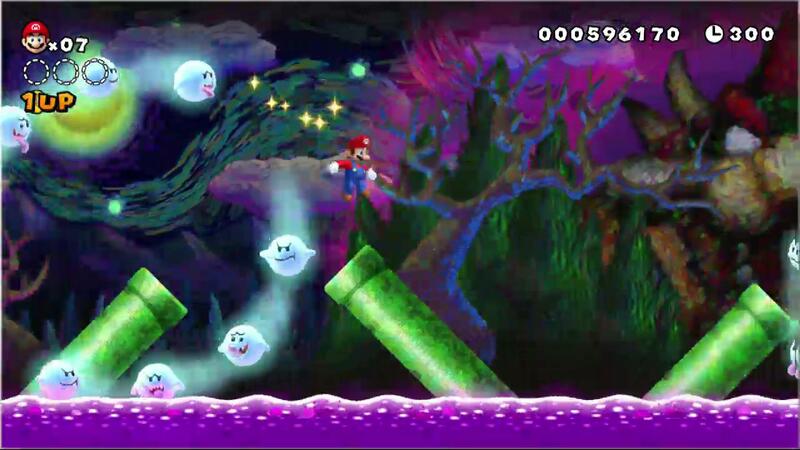 New Super Mario Bros. U announced"